The RSS on Friday said Hindus were feeling "insulted" by the Supreme Court's declaration that the Ayodhya issue is not a priority and insisted that an ordinance would be needed if all options run out. After a three-day RSS conclave here in Maharashtra, its general secretary Bhaiyyaji Joshi said the organisation "will not hesitate to launch an agitation for Ram temple, if needed, but since the matter is in the Supreme Court, there are restrictions." He said the Rashtriya Swayamsevak Sangh (RSS) was "not putting pressure" on the government as "we respect the law and the Constitution which is why there has been delay." Joshi added that the Ram temple issue was among the various matters discussed when Bharatiya Janata Party (BJP) president Amit Shah met RSS chief Mohan Bhagwat here earlier in the day. "We respect the Supreme Court and urge it to take into consideration sentiments of hindus," Joshi said while addressing a press conference after the National Executive meeting of the RSS here on the outskirts of Mumbai. "The wait for the (Supreme) court's verdict has been too long. Since the matter was listed on October 29, we felt Hindus would get good news before Diwali. But the Supreme Court deferred the hearing," he said. "We will not hesitate to launch an agitation for Ram temple if needed. But since the matter is in the Supreme Court, there are restrictions," he added. 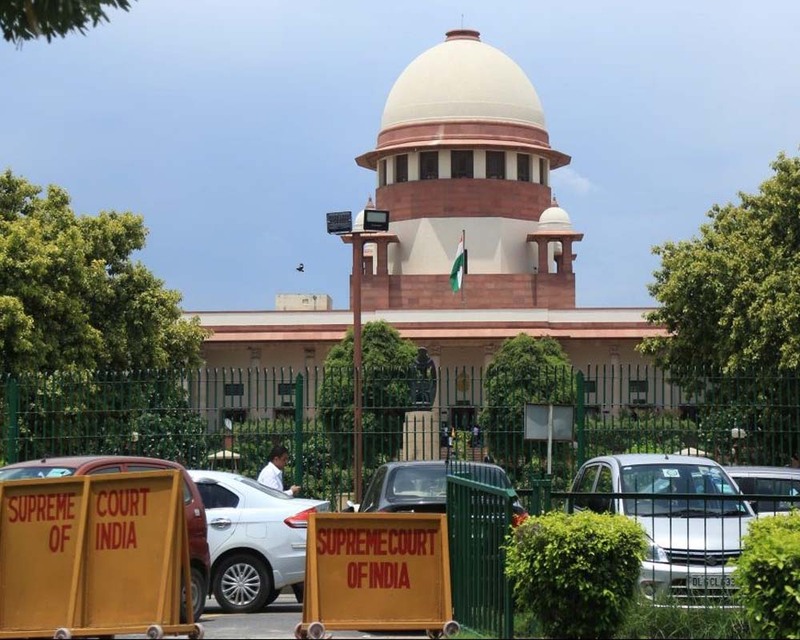 On October 29, the SC fixed the Ram Janmabhoomi-Babri Masjid land dispute case for the first week of January 2019 before an appropriate bench, which will decide the schedule of hearing. A three-judge bench, headed by Chief Justice Ranjan Gogoi, said the appropriate bench will decide the future course of hearing in January on the appeals filed against the Allahabad High Court verdict in the Ayodhya land dispute case. "We have our own priorities. Whether the matter will be heard in January, February or March, the appropriate bench will decide," it had said when Solicitor General Tushar Mehta and advocate C S Vaidyanathan, appearing for the Uttar Pradesh government and deity Ramlala respectively, sought early listing of the appeals in the case. As many as 14 appeals have been filed against the 2010 High Court judgement that suggested that the 2.77 acres of disputed land be partitioned equally among three parties -- the Sunni Waqf Board, the Nirmohi Akhara and Ram Lalla. Joshi Friday said the matter had been pending before courts for too long and pointed out that the apex court said their priorities were different when an early hearing of the long-pending issue was sought. Joshi said the temple issue is closely linked to the faith and sentiments of Hindus and it is painful to hear that it does not figure on the priority list of the court. "It is a matter of pain and anguish that an issue which Hindus consider their faith and sentiment is not in the priority list of the court... Hindus are feeling insulted." The RSS expected the court to decide on the issue, "taking into consideration the sentiments of the Hindu community," Joshi said. The RSS leader said a legal sanction is required to pave way for construction of the temple. Asked about the demand of various Sangh Parivar outfits for an ordinance for early construction of a Ram temple at the disputed site in Ayodhya, he said, it was the right of those asking for it. "The government should consider this option if all other options run out... It is up to the government," Joshi said. At the same time, he added, "Unless the Supreme Court takes a decision on the title suit, it is difficult for the government to take any decision." Joshi was asked if the RSS was putting pressure on the government and why the temple issue was not being decided by the government since it has a majority. "We are not putting pressure. But we will build consensus. We respect the law and the constitution which is why there has been delay," he added. To a query about Congress President Rahul Gandhi questioning the Hindutva of RSS, Joshi said he should not be taken seriously. On the issue of the apex court seeking Rafale deal papers, the RSS leader said it is up to the government to take a call. Speaking on the Sabarimala controversy, Joshi said the RSS supports the demand for restriction on women's entry into the temple. "We don't support discrimination against women at hindu places of worship, but some temples have certain restrictions and people may think it is against their rights. One has to consider rules of the temple as people's faith is supreme, he said. "The society doesn't function always on laws but also on beliefs and faith. There should have been discussions with all stakeholders before the Sabarimala verdict," he said. Joshi said the three-day meet deliberated on various organisational matters and a plan for water conservation and environment protection will soon be put in place.